Cleveland Browns quarterback Derek Anderson and tight end Kellen Winslow were added to the AFC roster for this Sunday’s Pro Bowl. Anderson will be replacing New England’s Tom Brady, who’s been bothered by a sore ankle. Winslow will take the spot of San Diego’s Antonio Gates, who suffered a toe injury during the playoffs. 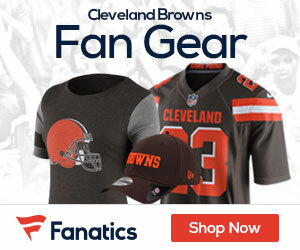 Anderson and Winslow will join Josh Cribbs, Joe Thomas, Ryan Pontbrian and Braylon Edwards. The Browns will have six players in the Pro Bowl for the first time since the 1994 season.